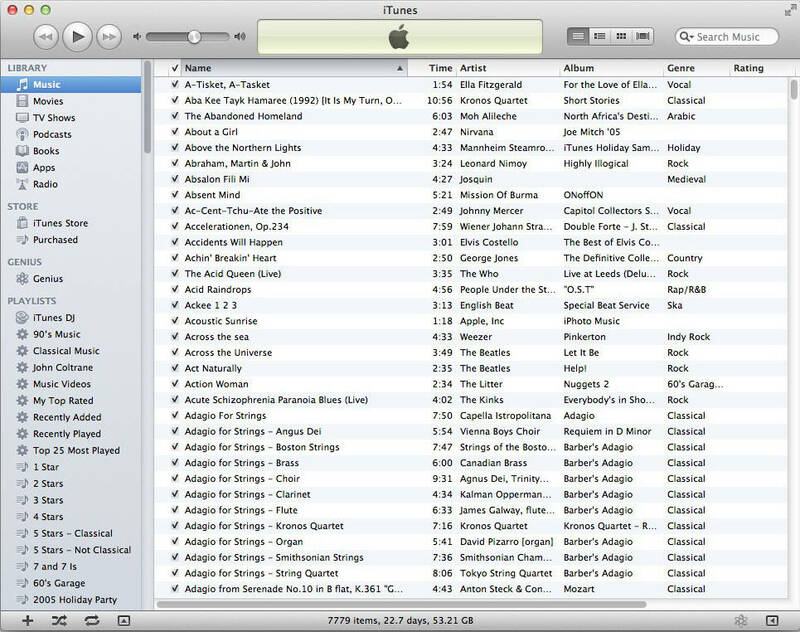 iTunes gives you the ability to generate dynamic Smart Playlists that reflect your preferences and listening habits. With iTunes it’s easy to create CDs that play back on in your car, your home stereo, Macs and on Windows-based PCs. iTunes adds the ability to share music among your Macs, play and encode AAC files, and view album art. - New MiniPlayer. MiniPlayer now includes a beautiful new view that showcases your album artwork. In addition, a progress bar is now built right into MiniPlayer.- Improved Song View. You can now enjoy your album artwork while in Songs view. - Multi-Disc Albums. Albums with multiple discs now appear as a single album.